Ten years after making German Year Zero Rossellini returned with this Hitchcock-esque noir, exploring rage, revenge, and, of course, fear. 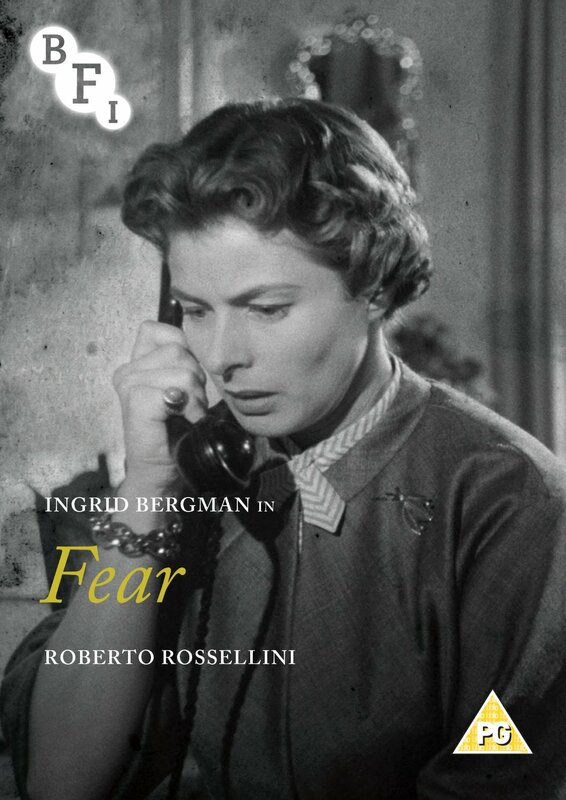 Filmed in Munich, Fear finds Rossellini returning to the territory of Germany Year Zero a decade later, examining a nation in recovery and still suffering major psychological scars. But where the earlier film was framed in the neo-realist mode, Rossellini had started to produce more traditional genre narratives, in this case, noir. Bergman stars as Irene Wagner, a married woman carrying on an affair with Erich (Kurt Kreuger). However, Erich's sadistic former flame, Luisa (Renate Mannhardt), finds out Irene's secret and proceeds to blackmail her, turning the woman's life into an escalating nightmare eventually posing a threat to both herself and those around her.